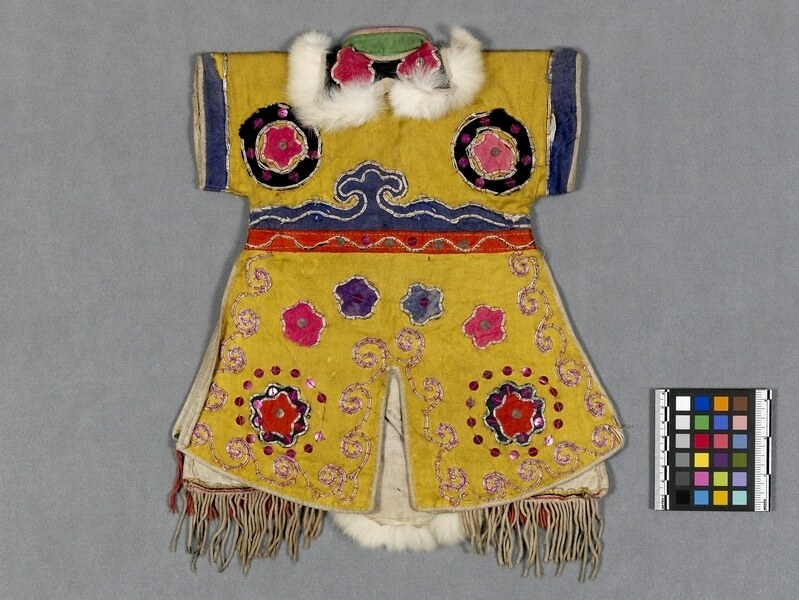 Small gold puppet robe. The robe has a standing collar, short sleeves, side slits, back slit and centre opening with tie. The front hem curves upwards to the centre beneath two hanging panels with fringe. 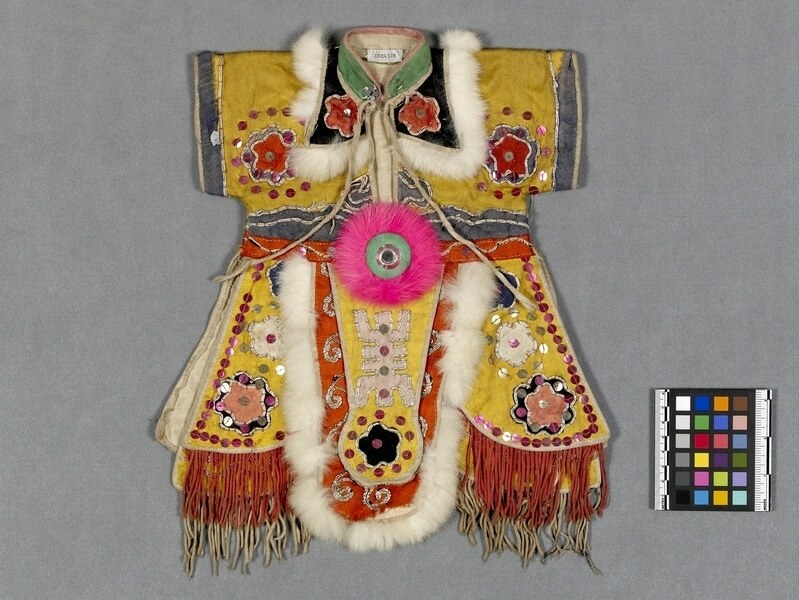 There are blue bands around the sleeves and waist. There are appliqué floral motifs, silver couched designs and rows of sequins and fur overall. The inner lining is natural coloured cotton.